San Luca Express is the new tourist train line created to connect the Bologna’s city center with the enchanting Basilica di San Luca, immersed in the splendor of the Bologna’s hills. You’ll enjoy a fun and exciting trip along the beautiful hills of Bologna and will visit the magnificent Basilica di San Luca with its wonderful arched gallery and stunning views of the city. 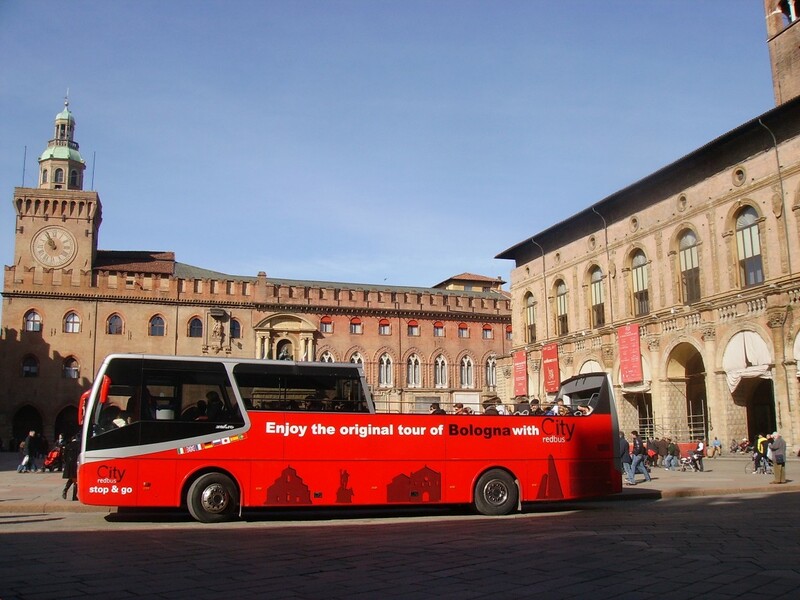 The tour lasts one hour and starts at Piazza Maggiore (exchange stop with Bologna City Tour Bus). Evening and special designed tours can be booked and organized in advance. To start to live this fantastic tour, the link presents our red-blue train. Where was the idea of San Luca Express service born? On 7 November 1976 the cable car wich was going through the via Porrettana until the Basilica, was removed. It was a fascinating ecological system forremedy the winding road leading up the hill. However, so far had not found an effective alternative that could offer the same peculiarides thereof;especiallyon weekends, when the crowd wanted to visit the Basilica of San Luca and was going with the car, the caos was a mess. 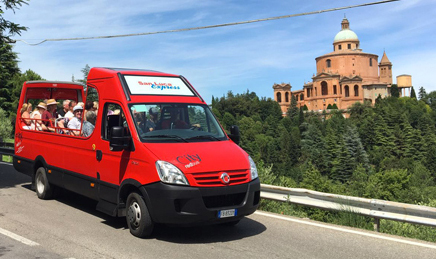 In addition, our market research conducted in the City Red Bus passengers have shown a strong demand for information on how to reach the Basilica ofSan Luca, with a similar service. 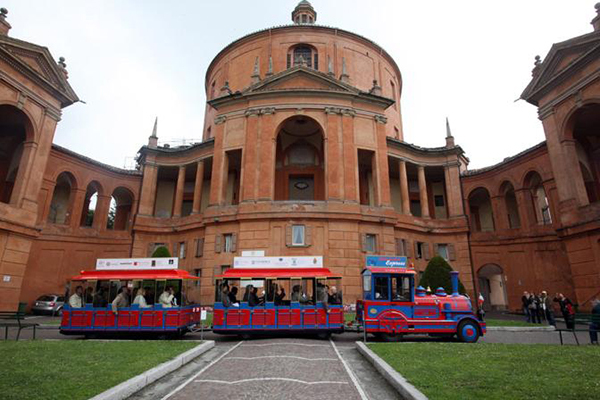 Therefore, our idea of creating a modern train to get to the Basilica of San Luca. A transport attractive, comfortable, discreet and effective. The productors are DOTTO TRAINS, a provider of tourist trains worldwide. 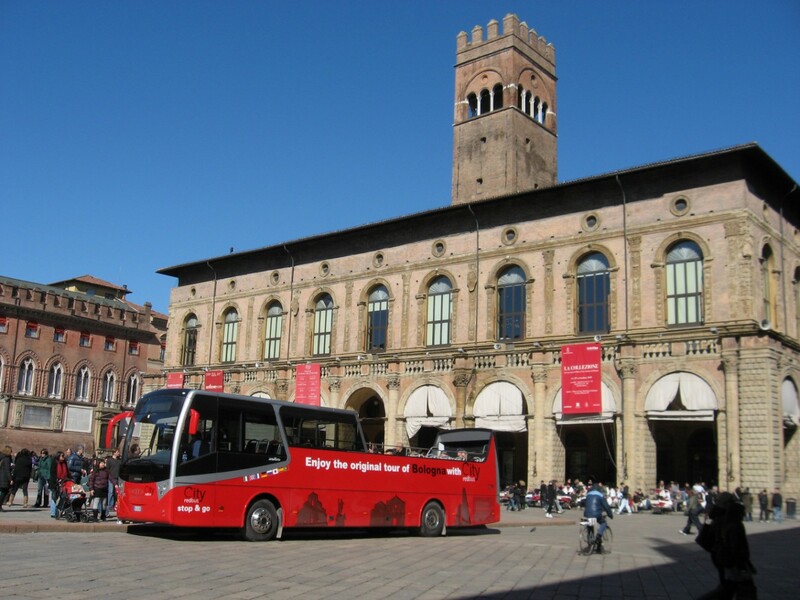 The service will be integrated with the City Red Bus, coinciding with run times to swap in the Malpighi piazza, where tour buses arriving from all over Italy and Europe, creating the possibility of a reduced price ticket for the two lines. The access route that we specified, creates an accurate assessment, made ​​to satisfy both those who want to enter the Basilica di s. Luca on religious grounds, which for tourist reasons. On the way back, you could see all the architectural structure Dall’Ara Stadium.